I hope all of you are having a great start to the weekend so far!! 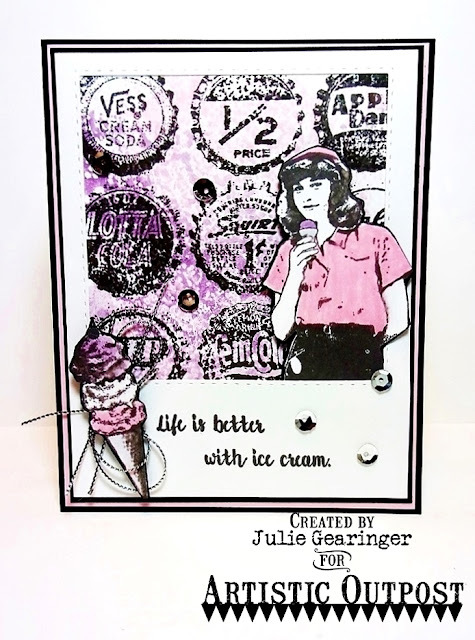 Today it is my turn to highlight a card on the Artistic Outpost blog and I created another quick Mixed Media card using Bottle CapsBackground along with Ice Cream Shoppe from the 2016 Spring Release at ArtisticOutpost. I decided to incorporate the Splitcoaststampers CAS384 “Cool Treats” Challenge along with the TLC595 “Stamp Selfie” Challenge and the #TGIF65 "Cut It Out" Challenge. No, this girl image is not me so it is not a true "selfie" (well maybe I looked a little like that 30 years ago-lol!) but I could imagine standing next to a mural in an ice cream shop enjoying a bit of ice cream, how about you? 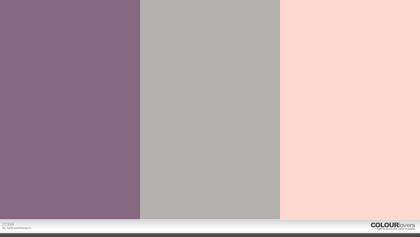 If you have not already visited the Artistic Outpost blog or the Splitcoaststampers challenge sites yet, I hope you will do so- fabulous inspiration from all! Stamp the images from Ice Cream Shoppe with gray ink, color with a light pink and plum marker, fussy-cut and mount onto black cardstock, fussy cut once more and apply a thin layer of clear glitter to the ice cream in the large cone. Use the modified version of the Smakin’ Acetate Technique to create the backdrop for the Bottle Caps Background- scribble light pink and plum markers onto an opened acetate envelope, lightly spritz with water, close the envelope to "smoosh" the ink around, re-open the envelope and press a piece of white cardstock into the ink. Stamp the Bottle Caps Background stamp with gray ink onto the splattered background, trim and mount behind a die cut window from white cardstock (using the ODBD Double Stitched Square Dies) along with the girl image popped up with dimensional foam. Mount onto several layers of light pink and black cardstock before mounting onto the white card base. Stamp the sentiment from Ice Cream Shoppe with gray ink, adhere the looped silver cord with the ice cream cone along with a few sequins to finish off the card. Thanks again for stopping by- your visits and comments are such an encouragement to me! Hugs and have a great week, my friends! LOL...I'll bet that girl DOES look like you! I love ice cream and this vintage card makes my heart happy! I love all things vintage and antique and this is a fun card!! So glad you linked up with us this week at TGIF! Life is better with icecream! Great card Julie! Thank-you for taking the TGIF Challenge!